Sponsored Post: Introducing Jesse the Jack’s ABC App! Let me begin this post by saying we aren’t big on apps over here. Correction, we aren’t big on apps for kids (duh, I love my apps). Believe me, it’s not because I don’t want a half hour to myself here or there or because I’m vehemently anti-technology. 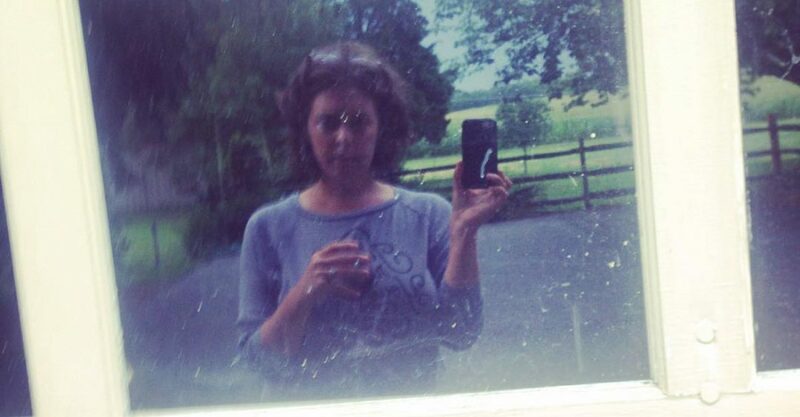 Hello, I’m a blogger! No. It’s more that I’m terrified of having to fight off my almost 5-year-old daughter from trying to steal my phone approximately fifty-five times a day. Whenever I’ve downloaded an app for her thinking, ‘this will be for an emergency car-ride situation only,’ she’s suddenly asking all the time if she can use it and so… DELETE. Bye-bye mommy time. Luckily, my kid is starting to show some self-restraint as she nears her fifth birthday. Hooray! She’s also starting to show an interest in learning to read. Hooray again! So lately we have been starting to introduce the alphabet and pick out books at the library which pay attention to letters and spelling, even some of those “I can read” books. I’m not about forcing kids to learn to read before they are ready because I don’t believe young kids should have to struggle to learn something that is out of their reach. So it’s nice to see the signs that reading is on the horizon, all on it’s own, without any pressure from mom or dad, or the alternative-style school my daughter currently attends. 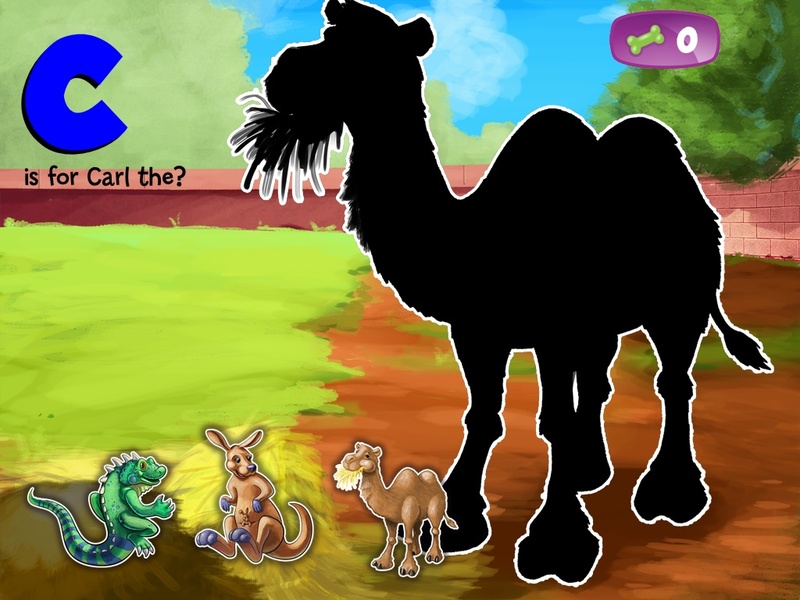 So when I was asked to review Jesse the Jack’s ABC Zoo App, I was like, ‘alright. We’ll give it a whirl.’ It is after all, the perfect timing for us in terms of where my daughter is developmentally. So we downloaded the app and I told my daughter we would first check it out together and then she could play it by herself for about 20 minutes. It might not sound like a lot but she was pretty amped given she doesn’t usually get free reign over the phone. We discovered the app has two modes- story mode and game mode. We wanted to try game mode first and see if it was something fun or educational or both. 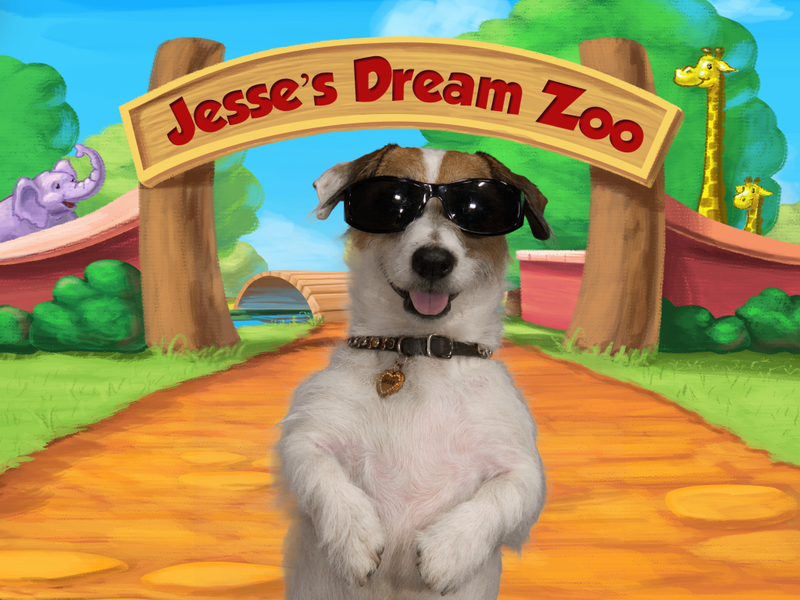 You’re introduced to Jesse, a cute Jack Russell terrier, who takes you to his ABC Zoo. The first screen comes up and says “A is for…” and it’s the child’s job to pick the matching animal. This would be slightly too challenging for my daughter, but there’s help. The child is given three choices to pick from and when you put your finger over each animal it says its name. There is an outline of the correct response that the child must drag the animal into. Jessie the Jack’s ABC Zoo App. My first thought was “this could totally build confidence in learning the correct letters that start each word.” My daughter completed the alphabet in about 10-15 minutes and then wanted to do it again. Oh, I almost forgot the best part! When you get a couple of correct answers, Jesse the Jack does tricks for you. He flips, he blows bubbles, he plays dead, he even rides a skateboard. It’s cute and silly and my daughter thought he was hilarious. I wasn’t sure exactly what his role in the game would be, but I have to say, he’s a pretty good motivator that pup! Next we tried “story mode”, which was an animated story about the same characters in the game. When it comes to Jesse the Jack and his ABC Zoo, I was definitely pleasantly surprised. While my daughter won’t always have free reign, this is one app that won’t get deleted. I’ll be down with letting her use it to reinforce the reading skills she’s learning elsewhere from time to time. To her, it feels like a special treat and I’m excited to know she is building confidence with letter recognition! Each child is so different, so I would encourage other parents to look for signs that their child is ready to begin reading. If they are, I think this app makes a great addition to other techniques learned at home and at school. The app ($1.99). and iBook ($.99) are available TODAY, October 22nd, on iOS (iPhone, iPad, coming to Android early 2015) for download. Go here to get them! Find Jesse the Jack on Facebook here.